With the new Extremely Brilliant Source, the Nuclear Resonance beamline ID18 will offer users with an order of magnitude improved energy resolution (50 micro-eV) and two orders of magnitude improved beam size (200 nm × 200 nm). 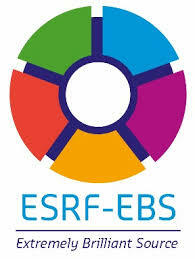 The aim of the workshop is to inform users about the foreseen development of the Nuclear Resonance beamline in frames of the ESRF EBS Upgrade Programme, to discuss new science enabled by the foreseen instrumentation, and to identify the key scientific cases most beneficial from Nuclear Resonance Scattering at Extremely Brilliant Source. Driven by the foreseen development, the programme of the workshop includes two main sections: Nano-Scale Physics, and Micro-eV Atomic Dynamics. The first section will be devoted to applications of a sub-micron beam in fields as geoscience, magnetism, superconductivity, nano-paleomagnetism, and solid-state chemistry. The second section will discuss applications of a micro-eV energy resolution in fields as geophysics, glass physics, unharmonic dynamics, protein dynamics, and surface physics. Finally, a third section From Past to Future will be devoted to analysing previous scientific breakthroughs in Nuclear Resonance Scattering and suggesting new routes in scientific, methodological, and instrumental development of the technique with the new synchrotron radiation source. There is no registration fee! Meals and accommodation during the workshop will be provided free of charge. However, participants have to arrange and pay their own travel to/from Grenoble.